Spring time reading! | The House of Martins The House of Martins: Spring time reading! I am so excited that Spring is almost here. 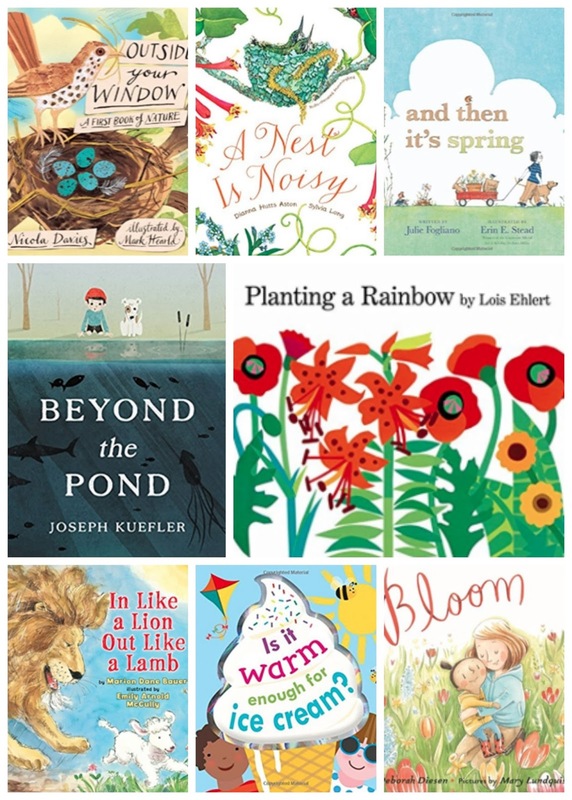 In preparation we will be reading loads of spring and nature themed books around our house the next few weeks. Here are some of our favorite ones and some that we will be checking out from the library soon. Outside Your Window - This is a great book that talks about the sights and sound in nature and gives kids so great ideas on how to explore nature themselves. A Nest is Noisy - A fun book about all the various type of nests and why the are used. And Then It's Spring - A great book about the changes in weather and planting and all the magic that happens around this time of year. Beyond the Pond - All the books in this series are great. A chance to get a deeper look at something in nature. This is a fun one for us this time of year because we can explore ponds and rivers in our own city. Planting a Rainbow - Both rainbows and planting gardens are big in our house right now and this lovely book does a great job of combining the two and explaining how a plant grows. In Like a Lion, Out Like a Lamb - I use sayings like this a lot - so it's always fun to have a book to help explain it. Plus Lucille LOVES anything with a lion in it. Is it Warm Enough for Ice Cream? - The answer to this question in our house is ALWAYS, yes. Bloom: An Ode to Spring - Another great book about the magic of planting a garden. What is on your Spring book shelf? I'd love more recommendations!